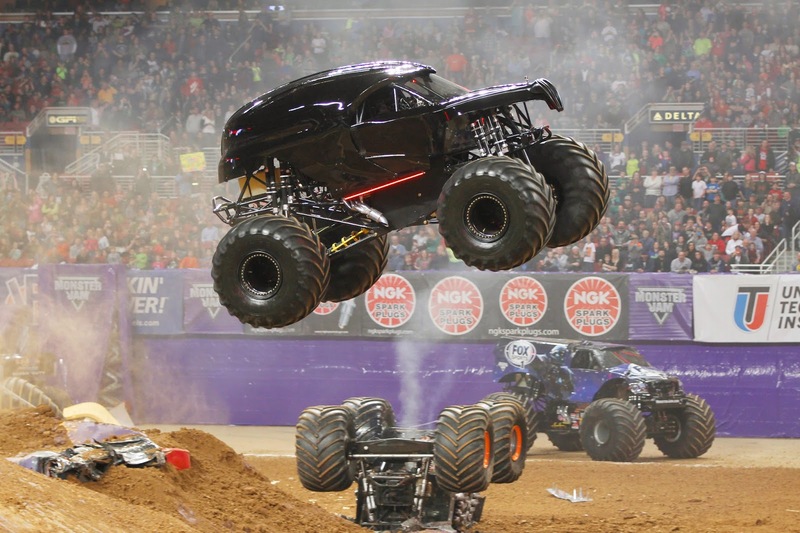 Friday, February 13 – 7:30 p.m.
Feld Motor Sports® tickets for Monster Jam®, the world’s premier Monster Jam truck series coming to CONSOL Energy Center February 13-15, are now on sale. 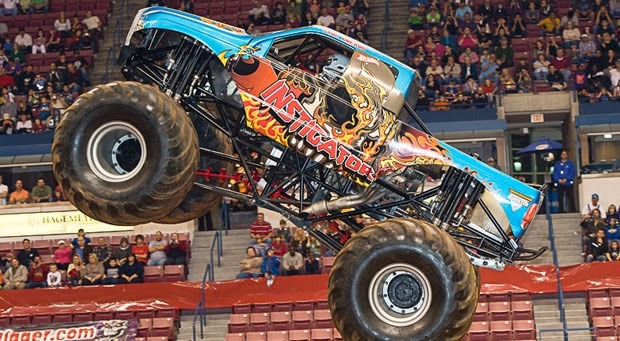 Monster Jam events are affordably priced for the whole family with seats starting at $25 for adults and just $12 for kids. Tickets are available at the CONSOL Energy Center box office, all Ticketmaster retail outlets, online at www.ticketmaster.com or charge by Phone at 800-745-3000. 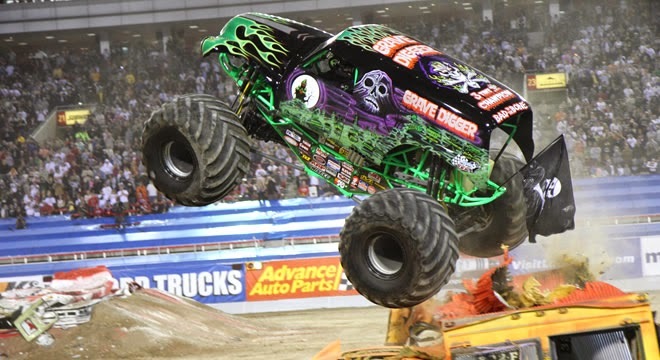 The Party in the Pits on February 14 and 15 at 11:00 a.m. give fans the opportunity to get a view of the trucks up close and meet the drivers of the massive Monster Jam trucks. Pitt Passes are $10 and are only available to ticketholders of the Monster Jam event immediately following the Party in the Pits. *Please note that this is a very loud show. Ear plugs/noise canceling headphones are highly recommended for kids! BTW, if you are heading to The Outer Banks, NC during the summer, you might want to plan a pit stop at Grave Digger's home, Digger's Dungeon. See the Monster Truck up close, ride kids jeeps, enjoy a petting zoo, bounce house + more! And I have 4 tickets to give away to the opening night, February 13, 7:30 p.m. at CONSOL! My nephew will be thrilled to see these trucks. My son loves monster jam!!! My kids would be so excited to see the monster trucks! My son loves monster trucks! Best Valentines present ever. Gravedigger! My children would love to go to this show!!! My son would love to see the monster jam. It would be a great early birthday gift! His birthday is FEBRUARY 29th!!! My nephews would LOVE to see these giant trucks! I would love the opportunity to take my preschooler to see this, he LOVES monster trucks and just trucks in general! My child would be super excited! Loves cars and trucks! my grandson would be ecstatic to get to go to this! Thank you for the chance! My boys and husband would be so pumped if I told them we were going to Monster Jam!! My boys love all things like this! My 5 year old son saw the commercial and about flipped his lid at the trucks with GIANT wheels! Haha! My kids would think this was amazing!